Non Omnis Moriar: What is impossible for God? Lashes bore into his skin with ruthless indifference, leaving mangled, sanguine flesh to hopelessly cling to his back, like a colored leaf to an autumn branch. Even then, death whispered in his ear a taunting call for surrender, but he would not submit to it, not yet. Spit on and mocked—his message rejected—blood from a thorned machination forced as a crown upon his head warmed a brow furrowed in pain. Forced to carry his own death upon his back, he bore the heavy burden of a timbered cross to Calvary. The dull thud of nails as the swift swing of a mallet drove them through the bones and flesh of hands that delivered healing and feet that walked upon the waves, could not be heard over the jeering crowd. But Solomon did not know about that early Sunday morning. For under the sun of that Easter day, a rumble came from the grave. Nobody knew that God could die, but he could. Just not for long. For out of the grave arose a savior, flesh and all. Death now just a petty thing, no sting, no victory. The choked plea for forgiveness made on the cross now made manifest in the open arms—scarred as they are—of the Risen Lord, Jesus the Christ. So when you have trouble in your life and all feels hopeless and impossible. When your only friend is brokenness and the cold breath of defeat is nigh and taunting in its whispers, remember this day. For words of impossibility are empty to God, as empty as the grave he abandoned. 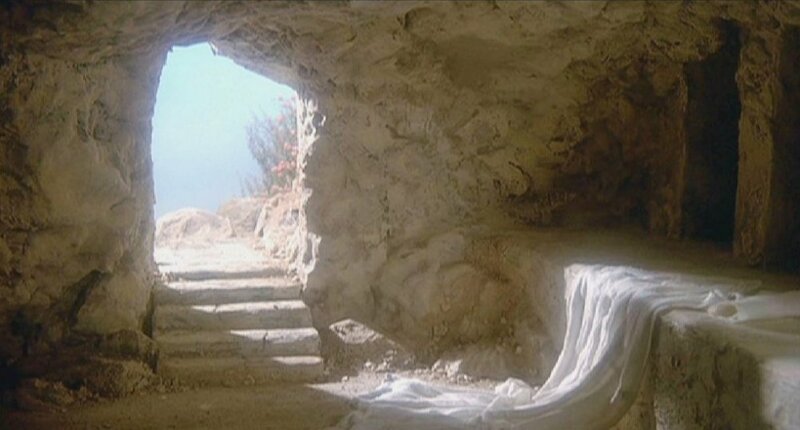 Because our savior, he has risen.